The final Grand Tour of the year gets underway on Saturday with a 27km time-trial from Vilanova de Arousa to Sanxenxo in Galicia. In total, the peloton will cover 3,391 over 21 stages, culminating in the mountain top finish on Alto de l’Angliru that should decide the final classification before the short final stage into Madrid. Last year’s winner, Alberto Contador, has not returned to defend his crown after a disappointing Tour de France, leaving just two former winners of this race to battle for a second title – Vincenzo Nibali and Alejandro Valverde. As experienced and successful Grand Tour riders, they are two of the top three in the betting, where they are joined by the ultra-consistent, Joaquim Rodriguez. Behind them are a mix of experienced veterans and the next generation of Grand Tour riders. Ivan Basso and Samuel Sanchez have 29 previous Grand Tours between them, while Roman Kreuziger will be looking to back up an impressive Tour de France. Among the young pretenders, the Sky duo of Sergio Henao and Rigoberto Uran cannot be written off, while Carlos Betancur and Rafal Majka have both had excellent years so far and will be hoping to finish on a high. So, the question is, who will ride into Madrid wearing the red jersey? Vincenzo Nibali was faultless in the Giro d’Italia earlier this year. He finished almost five minutes ahead of second place, highlighted by a magnificent solo win atop Tre Cime di Lavaredo, where he dropped Rigoberto Uran and Carlos Betancur. If he is in peak condition, he is the strong favourite to win this race. He has won here before in 2010, but the only real concern is whether he is targeting this race or the World Championships. This year sees a rare chance for a climber to win the World Championships, so there is a chance that that may be the focus over the Vuelta. Indeed, Astana team manager, Giuseppe Martinelli, suggested that he “expected him to be further along in fitness.” Despite this, three weeks is plenty of time to ride into shape and if he is in touch into the final week, he will be the favourite. The Spanish hopes are spearheaded by Joaquim Rodriguez and Alejandro Valverde. Rodriguez had a solid, if unspectacular, Tour de France, collecting his third Grand Tour podium finish. He was very quiet throughout, but came into his own in the final week and was able to claw his way back up onto the podium. However, Katusha do not appear to have the strongest team, so there could be a slight concern as to the support that he will receive in the mountains. In contrast, Alejandro Valverde looked strong, but lost a huge chunk of time on Stage 13 when echelons formed in the peloton and he was caught out by a mechanical. He will be desperate to make up for that disappointment and will be a serious contender here. Movistar arrive with a strong squad, so it would be foolish to overlook Valverde. The only real worry is that they both rode the Tour de France and, historically, it has proven very tough to double the Tour and the Vuelta. This is a concern that we will revisit with several of the other contenders. Team Sky come into this race with the dangerous Colombian pairing of Sergio Henao and Rigoberto Uran. Henao has been named as leader, perhaps due to Uran’s move to OPQS at the end of the season, but I think Sky will have learnt from their Giro debacle. I suspect that Uran will be allowed to race his own race to prevent the situation that happened in the Giro, where Wiggins failed and Sky were left with too much to do, having sent Uran and Henao back down the road to help. Sky have named a strong squad and, as ever, they know how to win these races. Carlos Betancur is tipped to go well. 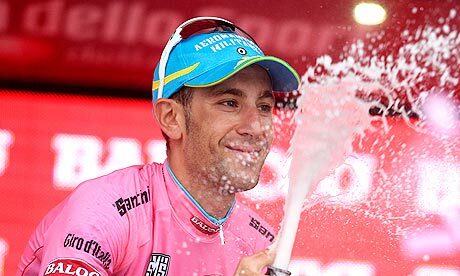 He finished fifth in the Giro d’Italia earlier this year and is one of the most talented climbers in the peloton. While he has barely raced since the Giro, he will be fresh for this race and Quintana’s performance in the Tour de France has shown that you do not necessarily need to race in the build-up to these races. With Pozzovivo and Nocentini in support, AG2R will be hopeful of an impressive Vuelta. Ivan Basso has been focussing on this race since he was forced to miss the Giro and he looked in decent form when finishing sixth in the Vuelta a Burgos earlier this month. He is a former Grand Tour winner and finished fourth on his only previous appearance in the Vuelta. While he is not the rider he once was, his season has been built around this race and it would be dangerous to write him off. Roman Kreuziger was impressive in the Tour de France, putting in huge shifts in support of Alberto Contador. He comes into this race as the team leader for Saxo-Tinkoff, backed up by a very strong looking team. However, as with the Spanish duo earlier, the effort of the Tour de France could come back to haunt him in the later stages of this race. If he falters, the likes of Rafal Majka, who was so impressive in the Giro, and Nicolas Roche could step up to lead the team. Moving into the outsiders, Daniel Martin was tipped by many to do well in the Tour de France, but finished well down after a couple of poor days in the mountains. Again, having ridden the Tour, he may struggle a bit here. Daniel Moreno will ride in support of Joaquim Rodriguez, but has only ever finished outside the top 12 once in six appearances and is worth keeping an eye on. Bauke Mollema, Mikel Nieve and Igor Anton all had solid Tour de France performances and will relish the climbs here, but again, it comes back to a question of fatigue in attempting back-to-back Grand Tours. Samuel Sanchez is getting on in years, but always performs well and his 12th in the Giro was the first time in nine Grand Tours that he has finished outside the top 10. He comes into this well rested, and while the victory may be a step too far, he will be eyeing a podium challenge. The Spaniards always seem to perform well here, so it would be dangerous to write off the likes of Benat Intxausti and David Arroyo, but it is more likely that they will be challenging for top 10 finishes rather than the overall classification. I am planning on keeping the ante-post bets fairly small and concentrate on the individual stages, but there are a couple that stood out and caught my eye.